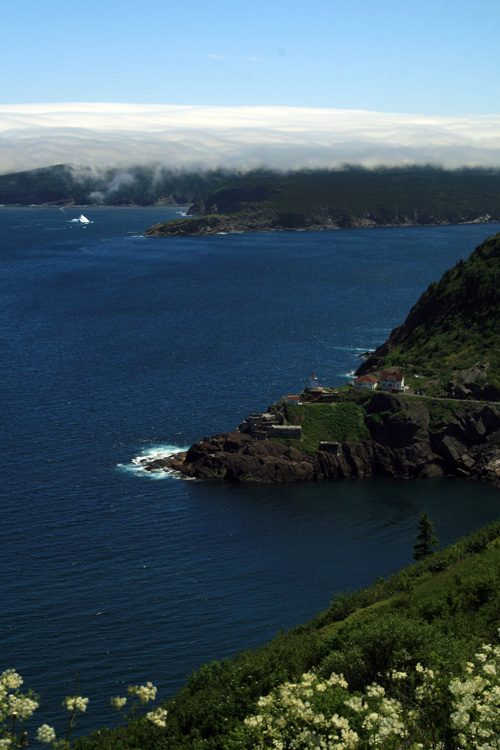 Newfoundland is an amazing place at any time of year, but early summer just might take the cake. It certainly did this year! 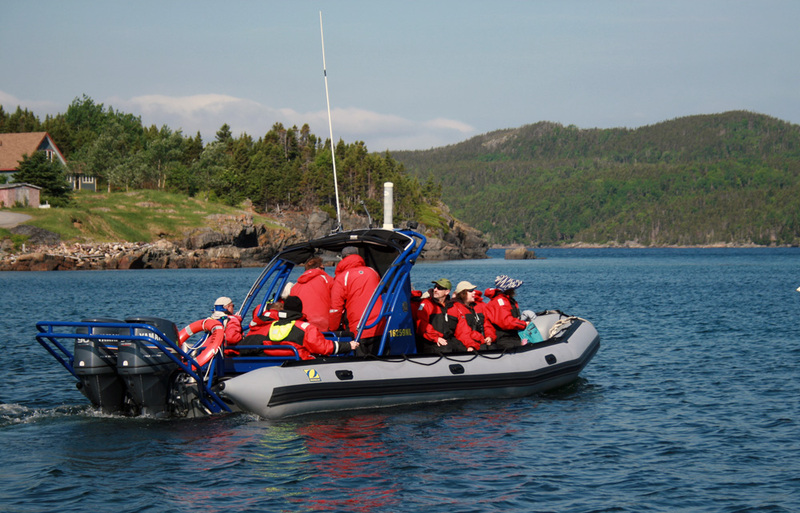 Starting at the end of June, I was fortunate to join another great group of visitors from all over the world for their “Newfoundland Adventure” with Wildland Tours. 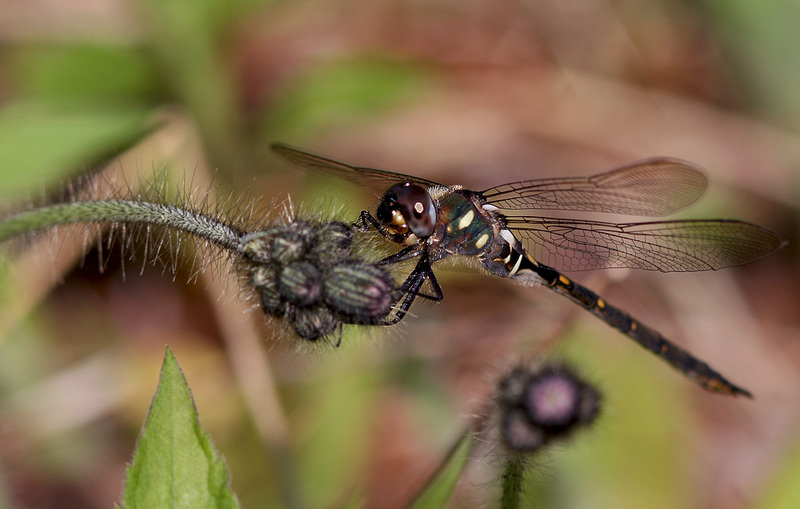 Here are just a few photo highlights of the many, many things we enjoyed! 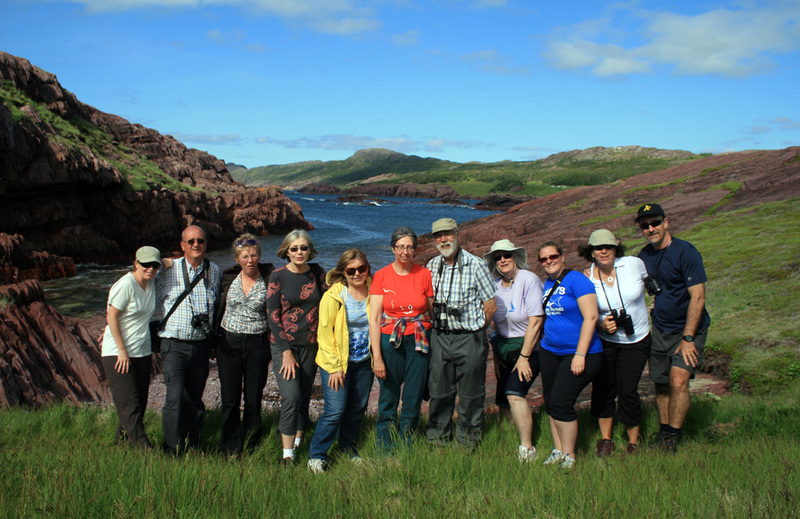 Here is our Wildland Tours group at Tickle Cove, Bonavista Bay. What a great bunch!! Our tour began & ended in North America’ oldest city. 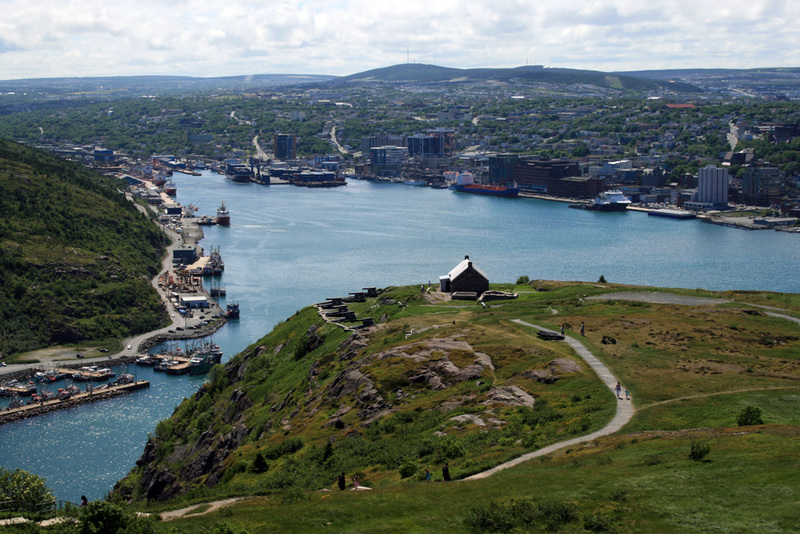 There’s never a lack of things to do in St. John’s. 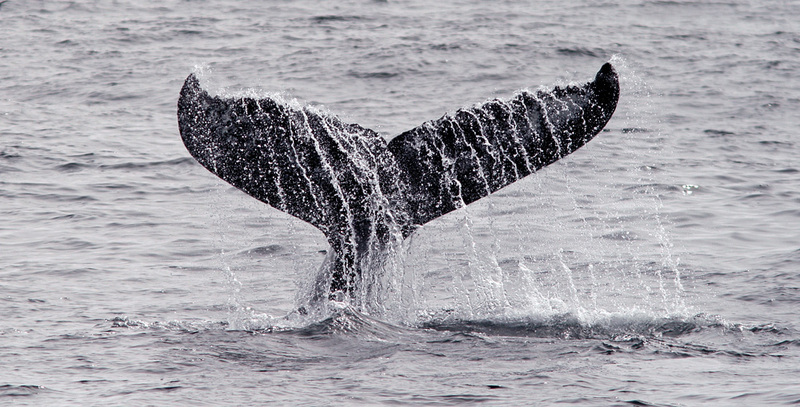 The whales had arrived en masse in the days before our tour, and they entertained us from day one when we visited Witless Bay Ecological Reserve with O’Brien’s Tours. Berry season was still weeks away, but the blossoms were a good sign. 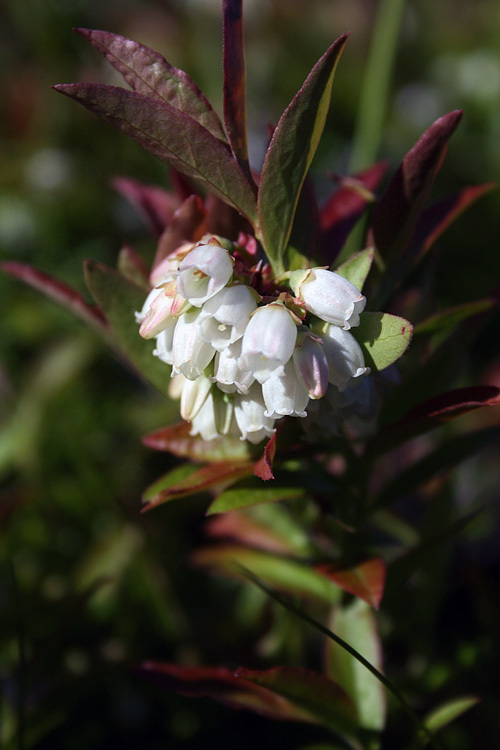 These blueberry flowers were at Blackhead. 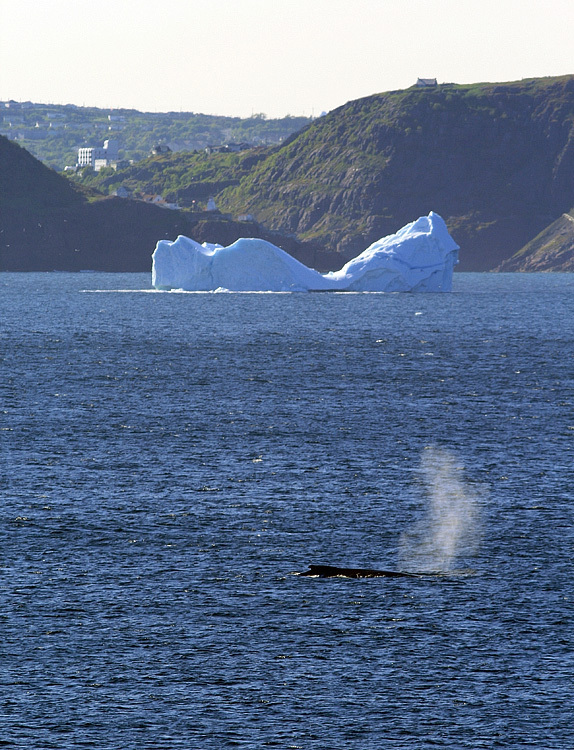 This nealy iconic photo of St. John’s narrows, an iceberg and a humpback whale was taken from Cape Spear, North America’s easternmost point. 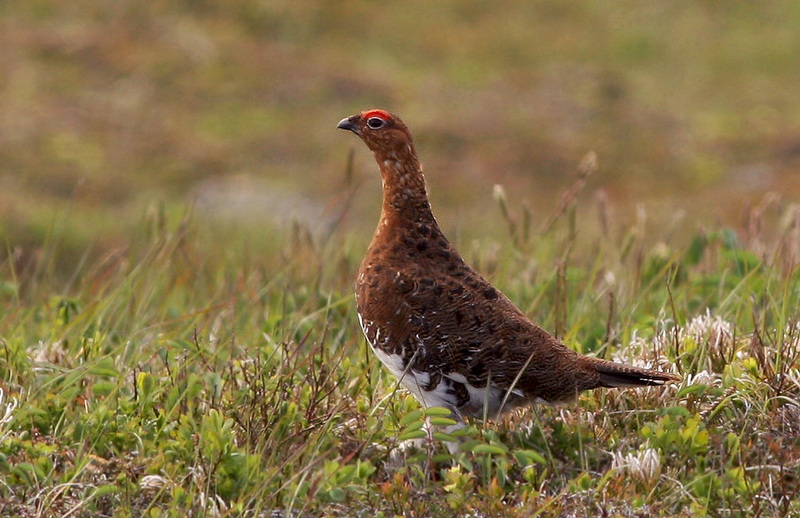 A pair of Willow Ptarmigan graced us by crossing the road near Newfoundland’s southernmost lighthouse, Cape Pine. 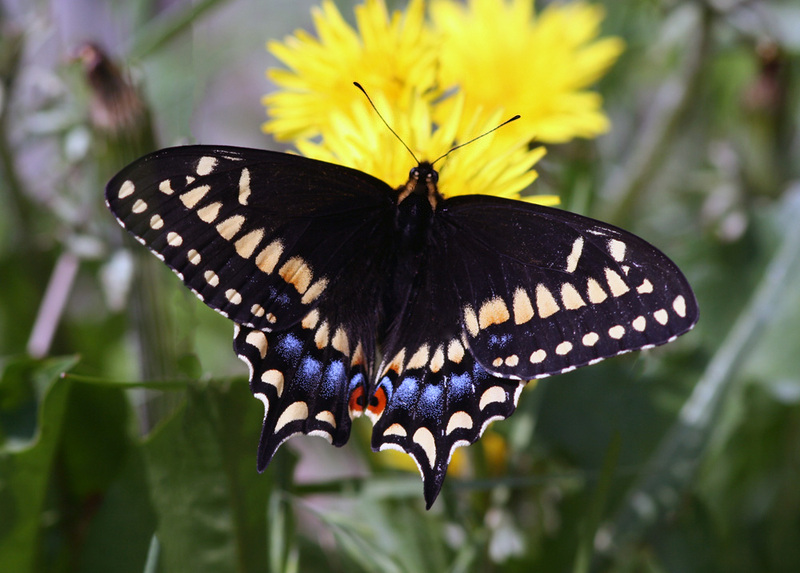 Cape Pine also produced our first Short-tailed Swallowtails of the trip … they were plentiful at most headlands during the week. 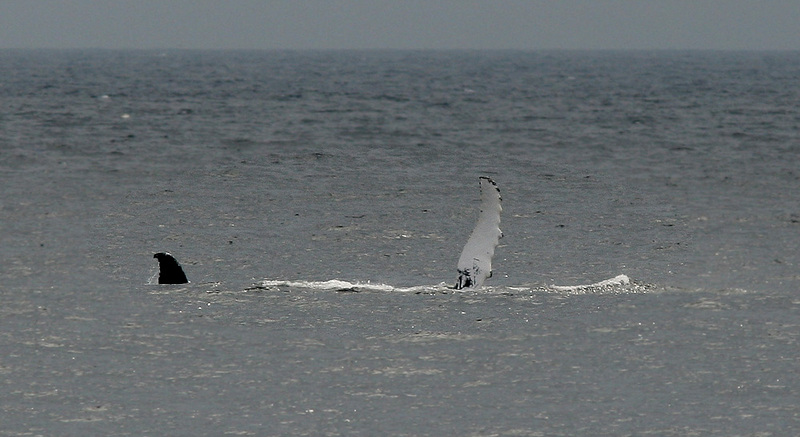 Whales were part of the action every day – like this one at St. Vincent’s which was breaching and waving. 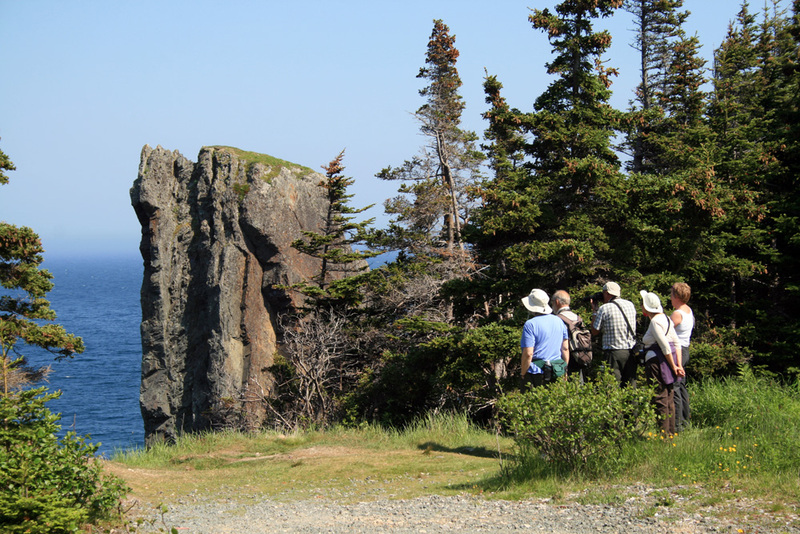 No visit to Newfoundland is complete without a visit to Cape St. Mary’s. Despite some heavy fog (which, to be honest, is part of the experience there!) 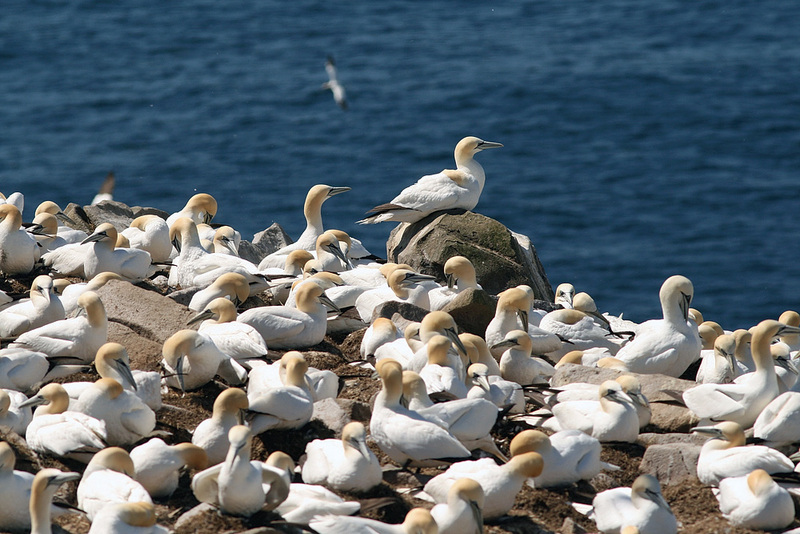 we enjoyed amazing views of the Northern Gannet colony. 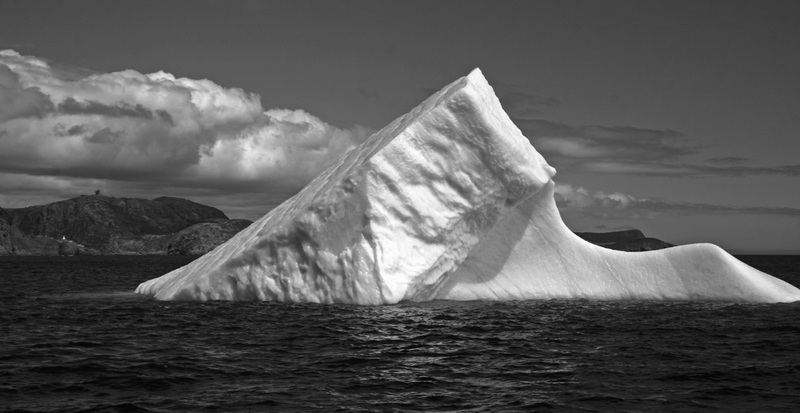 … and, of course, icebergs were one of the main attractions. 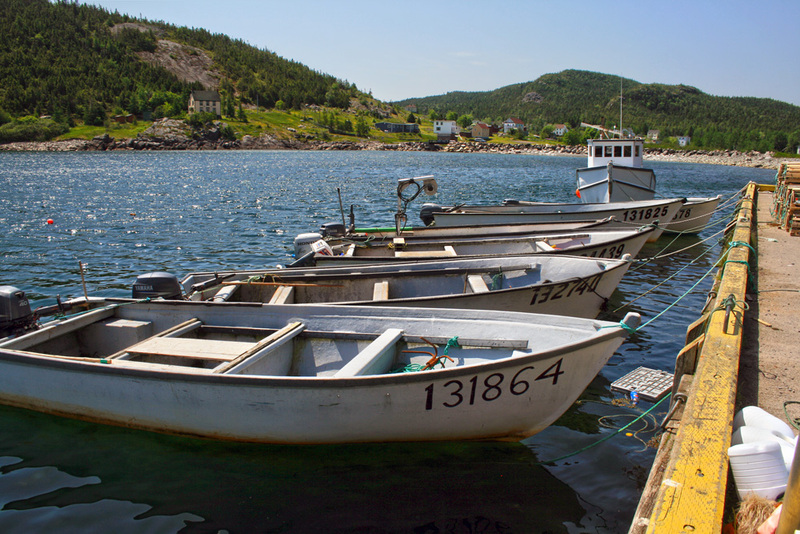 The tour ended in the scenic community of King’s Cove. A short hike around King’s Cove (while the rest of the group enjoyed the zodiac ride!) 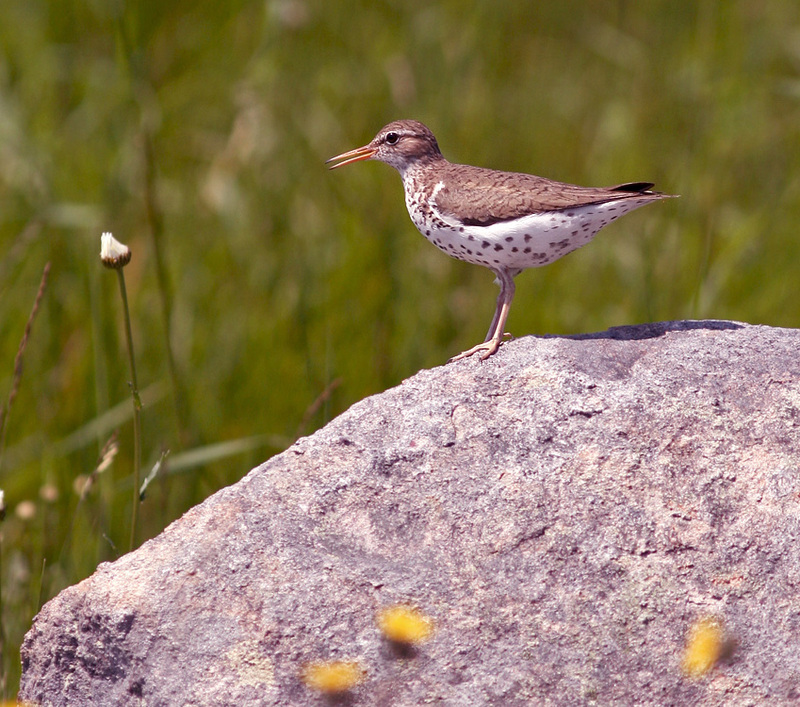 included a very confiding Spotted Sandpiper. We took advantage of the sunny afternoon to hike the Skerwink Trail. 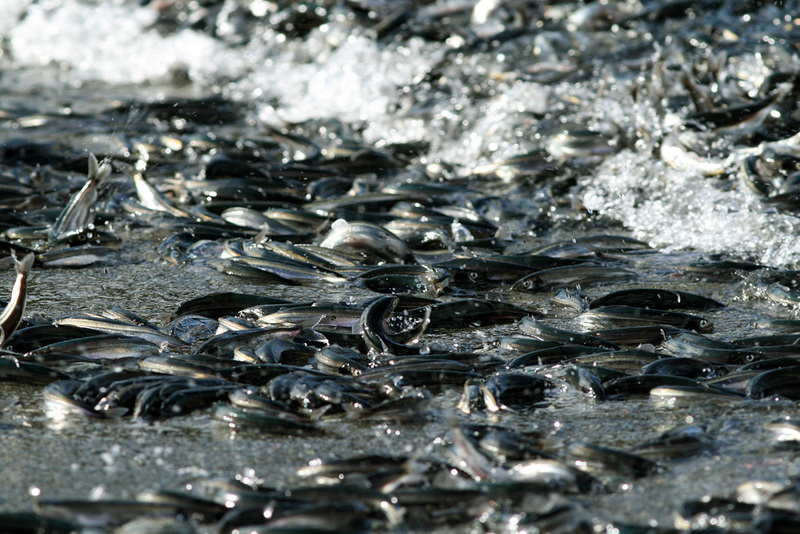 We also encountered our first capelin of the trip — masses of them spawning and rolling on a beach as we watched from a cliff high above. 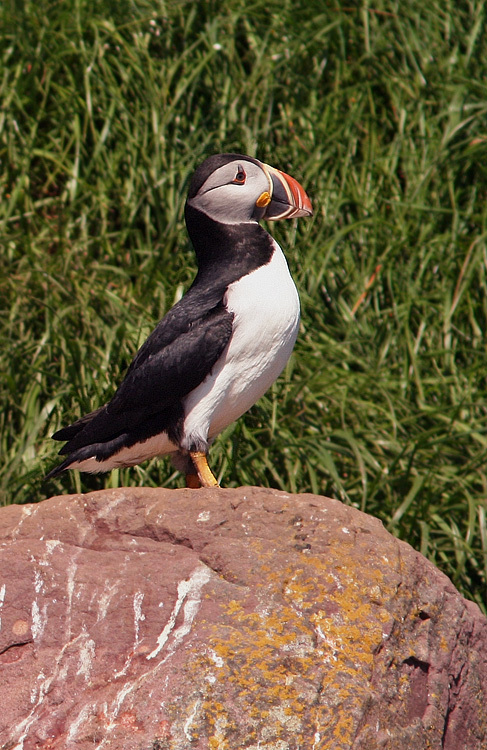 We also enjoyed a visit to Elliston, where the Atlantic Puffins can be enjoyed comfortably from land. 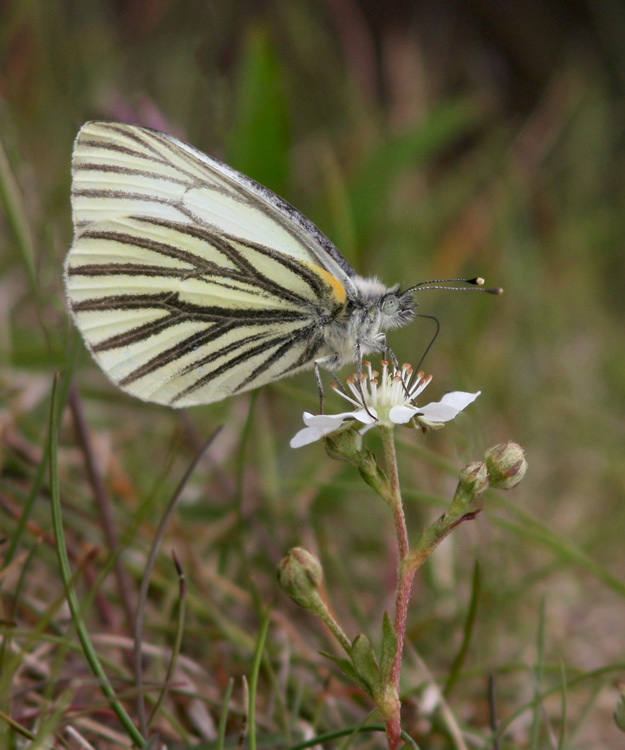 This Mustard White was at Elliston was a bit of a surprise for me … I see them so rarely in eastern Newfoundland, though they may be more common than I realize in other areas. 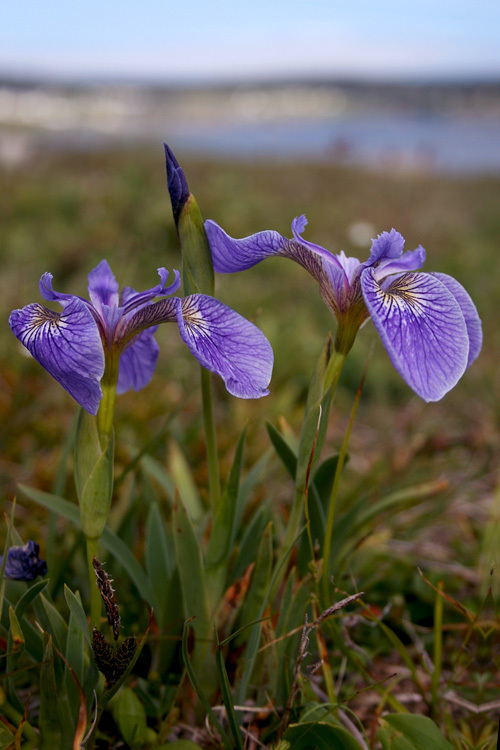 These Beach-head Irises were blooming in many locations. 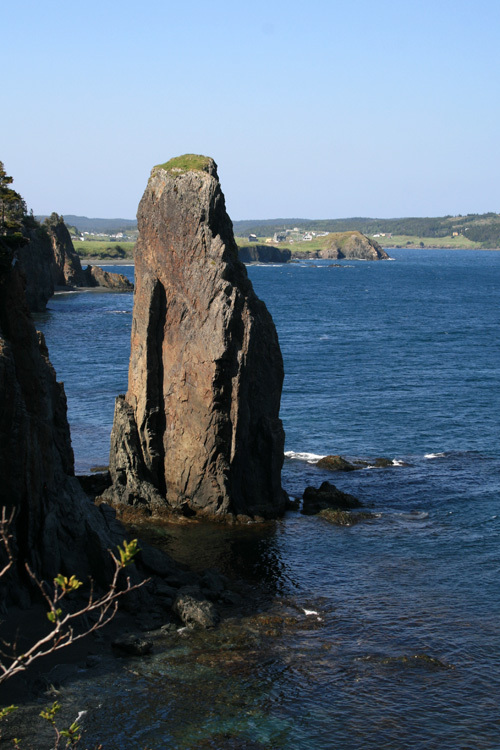 Here, the town of Elliston lingers in the background. 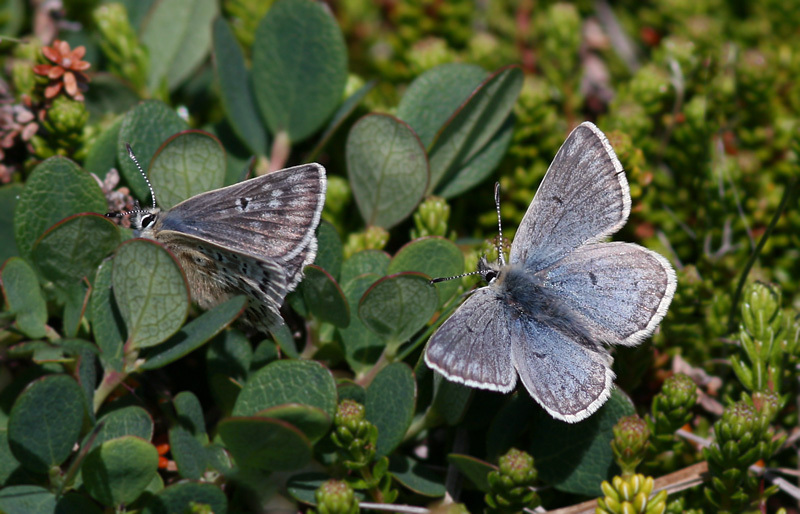 Northern Blue butterflies were abundant at the tip of the Bonavista Peninsula … I spent a fair bit of time chasing them around the barrens trying in vain to catch a decent photo! Food is a big part of any tour, and this one didn’t disappoint. 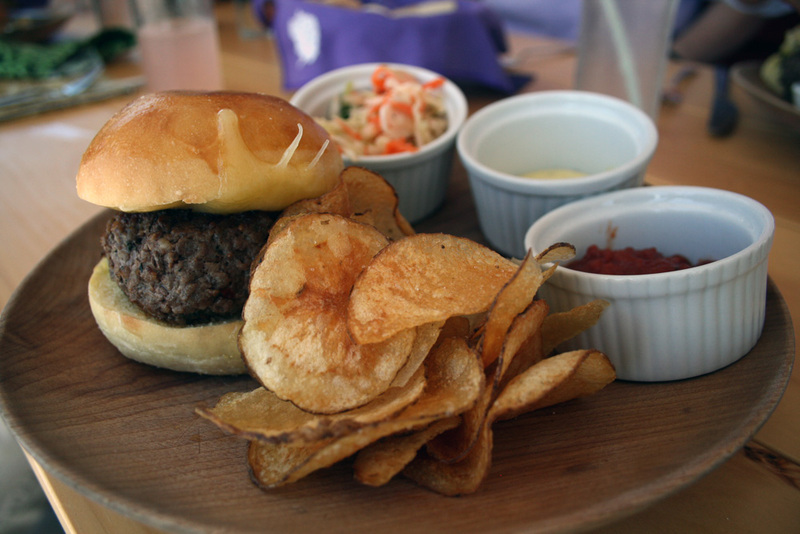 This delicious mooseburger (complete with partridgeberry ketchup and homemade chips) was a popular choice at the Bonavista Social Club. 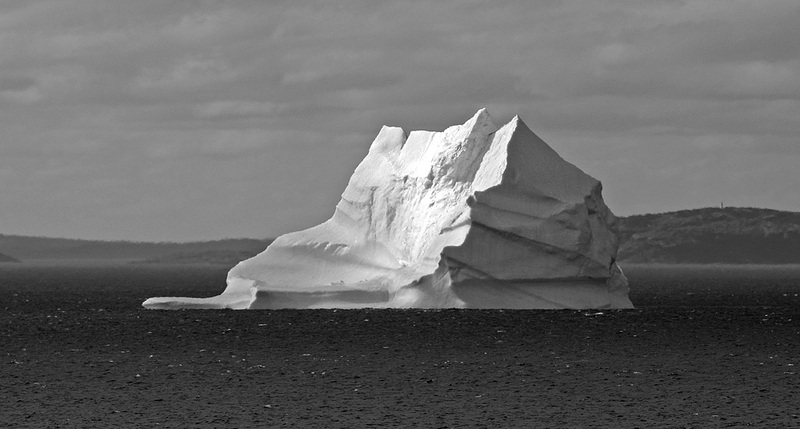 Another brilliant iceberg was grounded just off the scenic little outport of Red Cliff, Bonavista Bay. 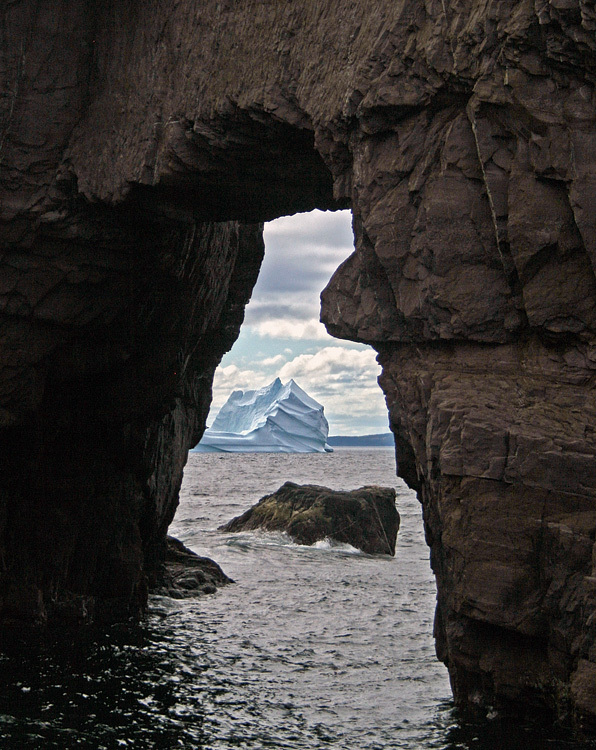 The sea arch at nearby Tickle Cove is always a beautiful sight, but especially so when you can spot a massive iceberg through it! 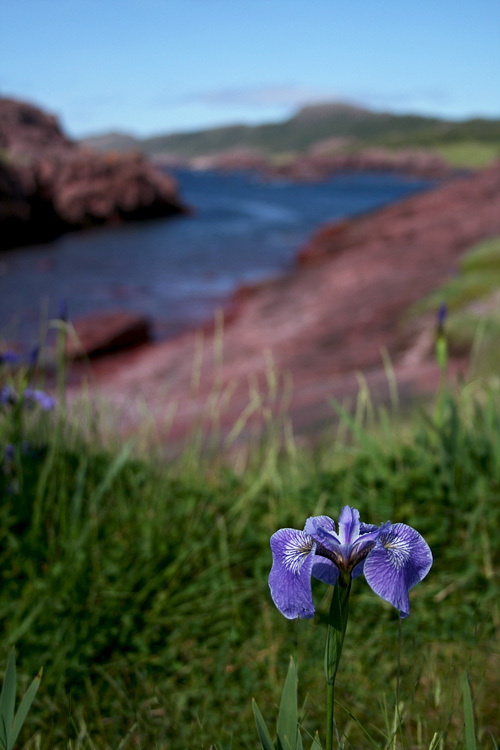 A shot of Tickle Cove with an iris in the foreground. 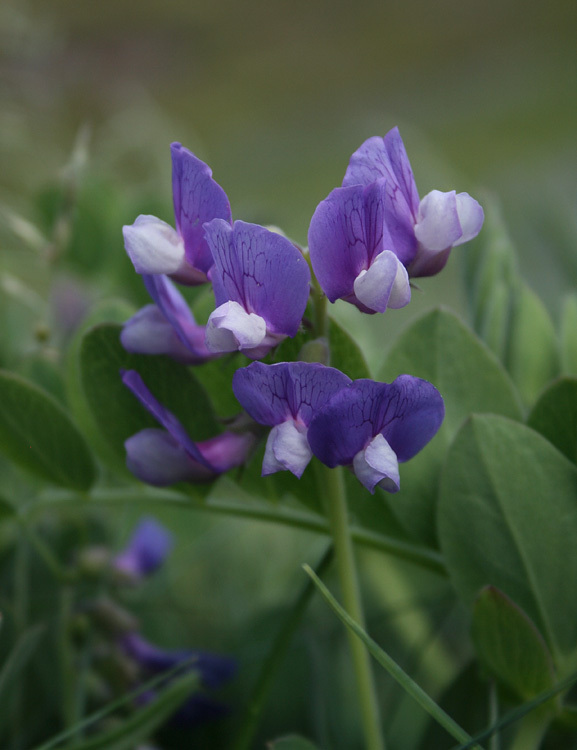 Beach Pea is another lovely but often overlooked flower that blossoms on our beaches. 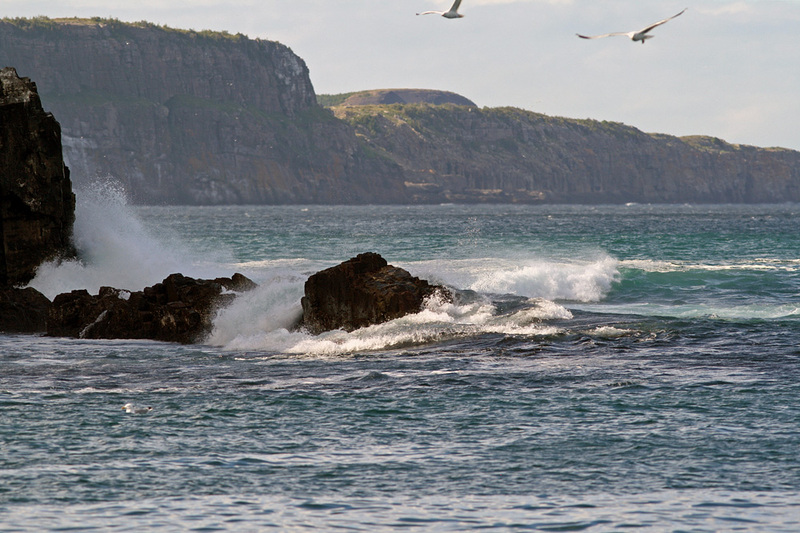 We ended the week with a wonderful day back in St. John’s. 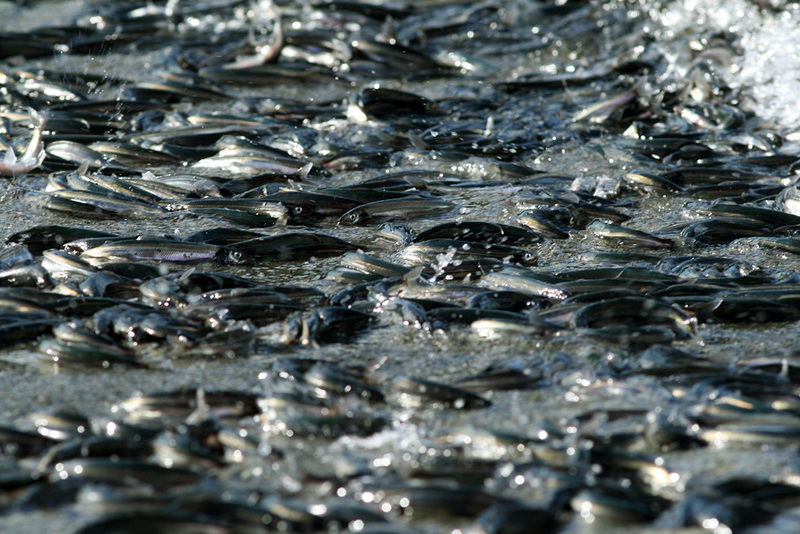 Our final day of the tour began with a boat tour … passing the iconic Battery along the way. 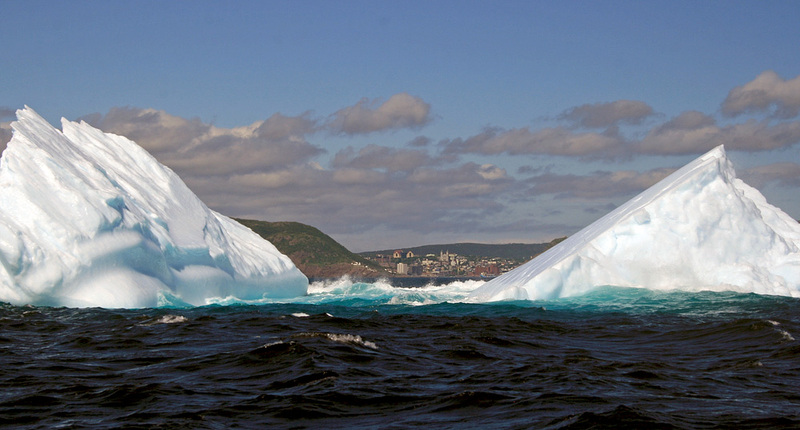 Not surprisingly, the highlight was getting up close and personal with more icebergs. Here we could see St. John’s in the distance between two bergs. A view of St. John’s harbour as we entered the narrows. 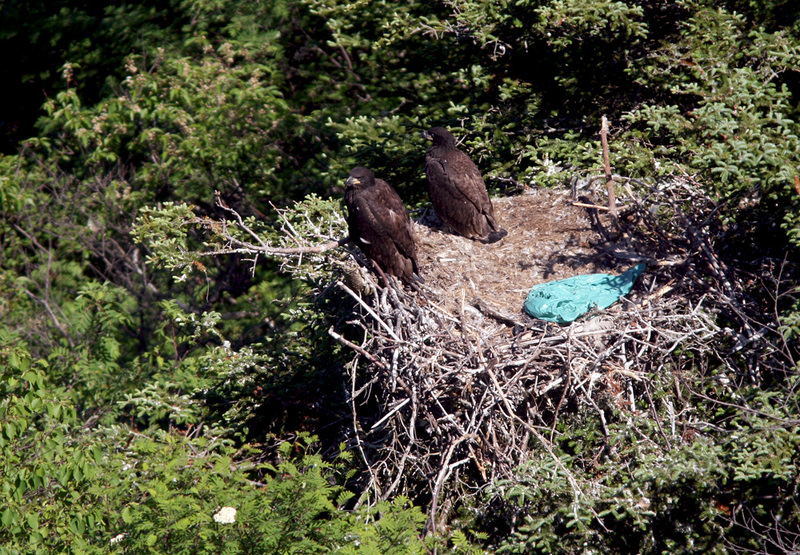 We also hiked from Signal Hill to the quaint Quidi Vidi village, stopping to enjoy some Bald Eagle chicks along the way. 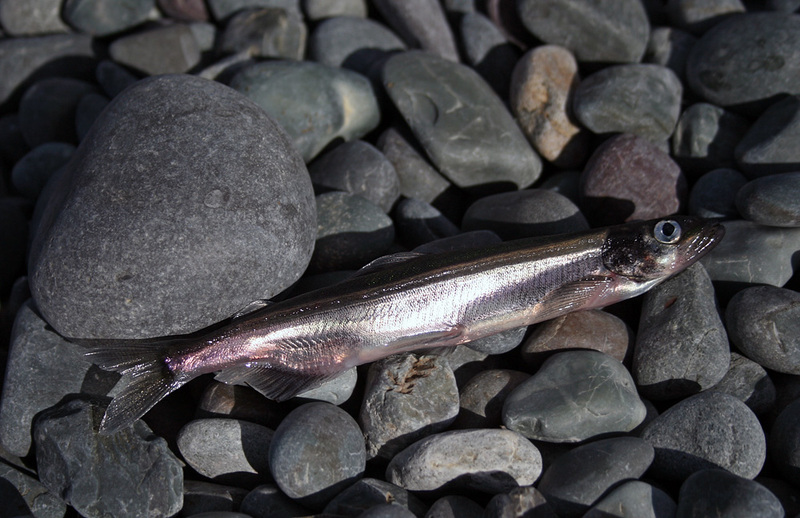 …where we found a small run of capelin “rolling” on the beach. 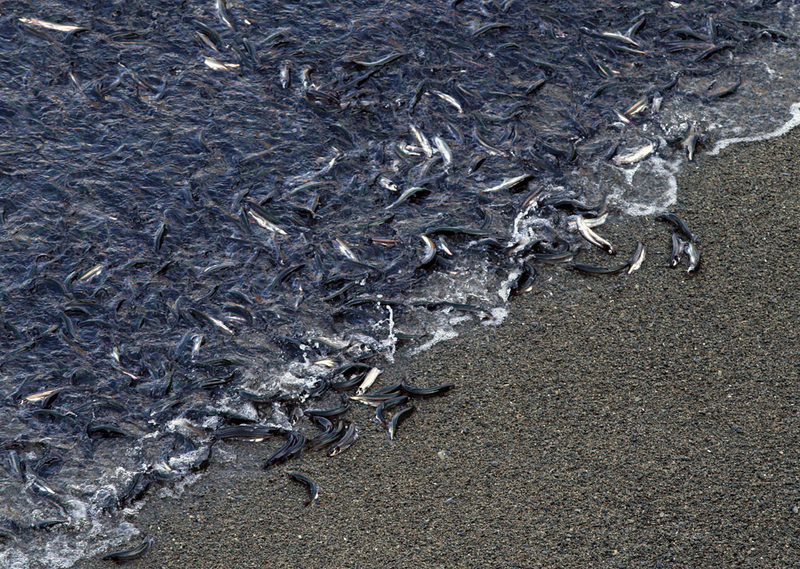 Capelin require coarse sandy beaches in order to spawn … huge schools “roll” in with the tide, with the females depositing as many as 50,000 eggs each! It was another awesome week, filled with lots of fun, beautiful weather, and all the trimmings of a real Newfoundland adventure! 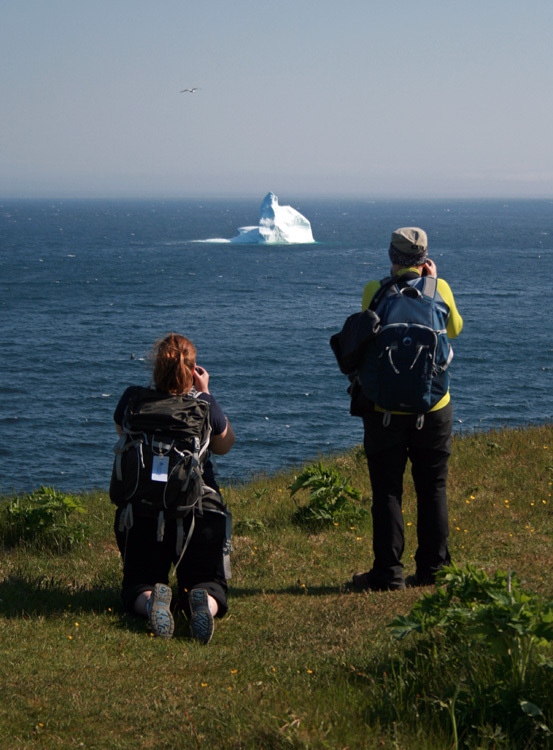 Icebergs, whales, seabirds, moose, excellent food … and a great group of people to share it with. 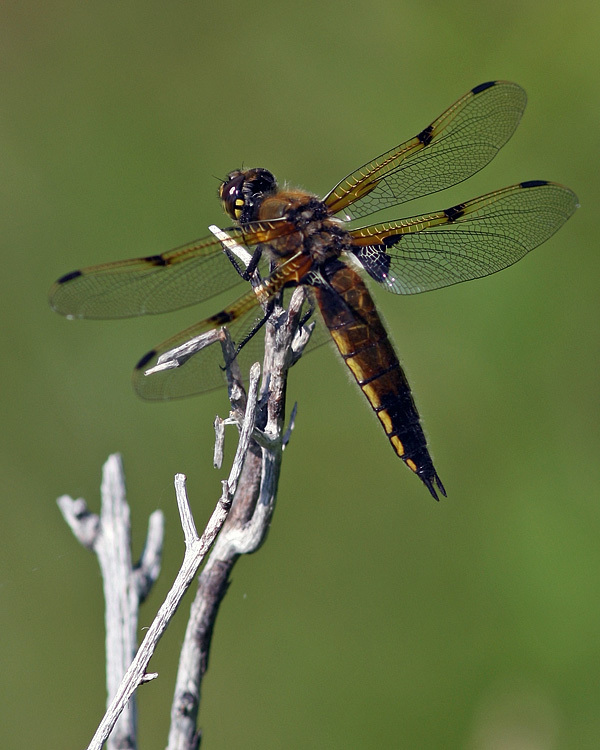 Thanks to everyone for joining me on this Wildland Tours excursion. I’m looking forward to leading another one in August! 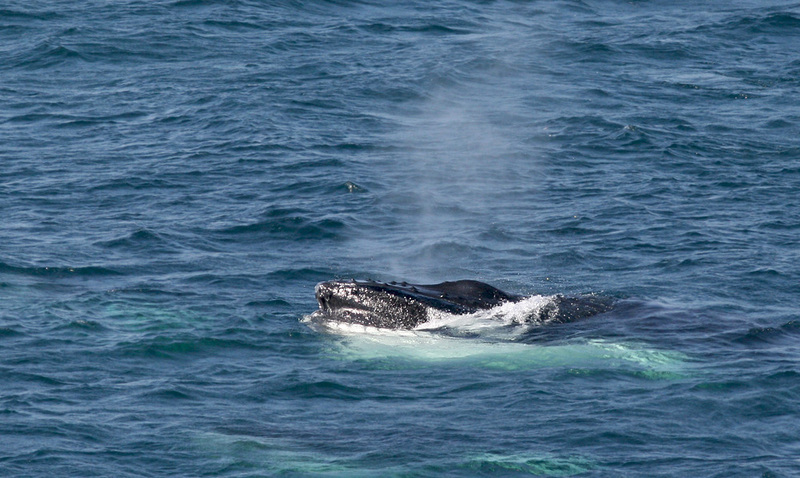 This entry was posted in Birding Tours, Uncategorized and tagged atlantic puffin, Bonavista, butterflies, Cape St. Mary's, common murre, icebergs, nature tours, Newfoundland, newfoundland history, northern gannet, Photography, seabirds, St. John's, whales, Wildland Tours, Witless Bay Ecological Reserve. Bookmark the permalink. Jared, these photos are amazing. Thank you so much for sharing them. The guest for sure had a blast with you. Beautiful pictures. I too got to enjoy a lot of parts of Newfoundland . 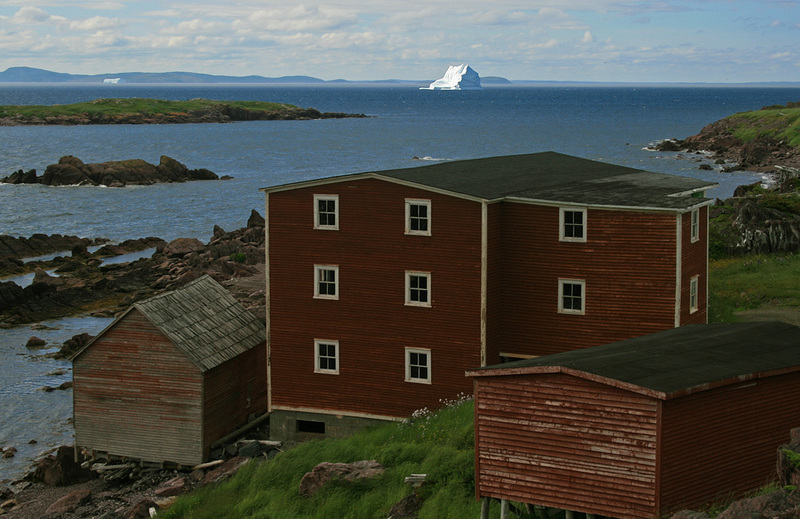 Lived there for 16 wonderful years.I just had to look out my kitchen window,and saw the whales,seals iceberg ,and many other beautiful sites. Jared, we were lucky to participate on this trip. 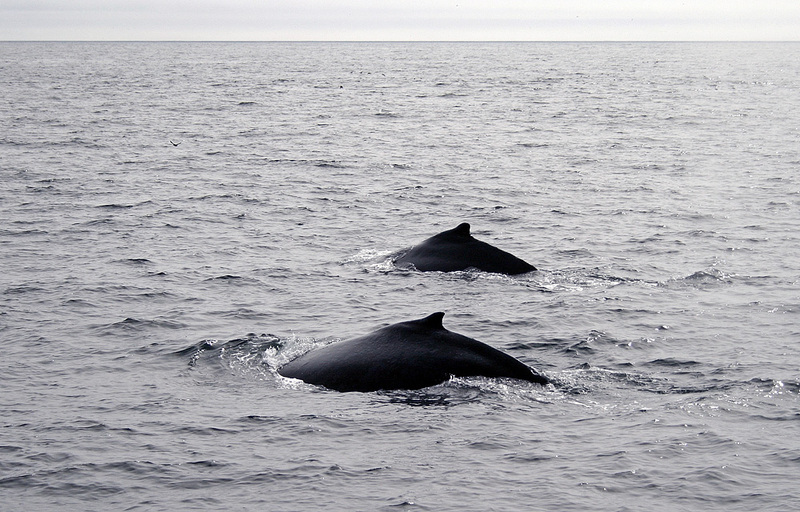 It was wonderfull en incredible, we will not forget it forever: the whales, the icebergs, the gannets in the fog, the puffins en the nature.